Quality yoga instruction including gentle stretching, breathing exercises and Meditation. Everyone can do SATTVA yoga. 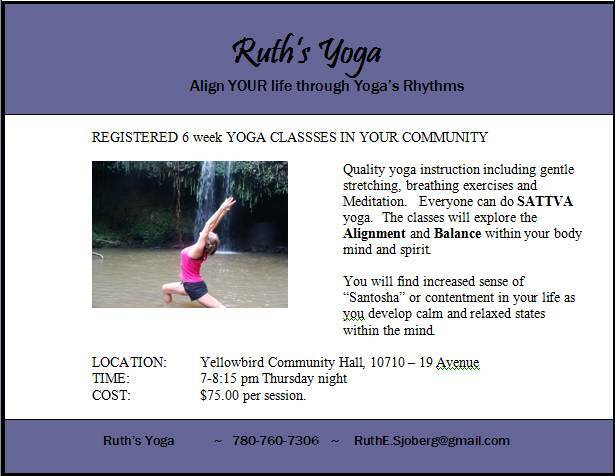 The classes will explore the Alignment and Balance within your body mind and spirit. You will find increased sense of “Santosha” or contentment in your life as you develop calm and relaxed states within the mind. 7-8:15 pm Thursday nights at Yellowbird Hall.